I remember I was down with gastro-intestinal ailment few weeks ago that left me a bit weak bed ridden for a whole day. Thankful enough I recovered from that by drinking lots of juice and water with salt to replenish the lost liquids that I have in my body. I thought I will end up in the hospital because it is my very first time in my whole life that I feel so weak. 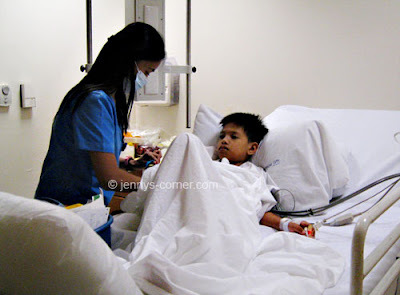 The worst case happened to my nephew few months ago when a deadly mosquito bit him and he was diagnosed of dengue. At first the doctors can’t seem to find the real ailment of my 11 yr. old nephew but when his parents transferred him to a better hospital with good facilities that is the only time they knew he has dengue. Immediately he was confined in the ICU and my family is so worried that he might not survived it bec. he is already bleeding inside. Such a devastating scenario but with the help of prayers and of course the doctors he survived it. A co-digiscrapper of mine (Aggie) also recuperated from this ailment. Dengue is so deadly that anyone can be killed in just a week of non-treatment.